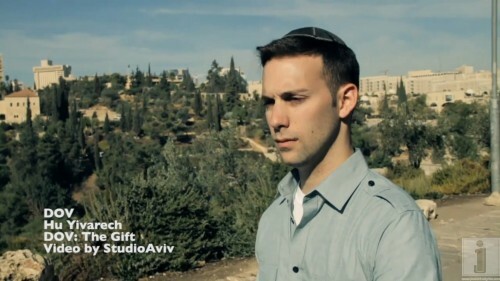 Hu Yivarech – A Song for the IDF Soldiers, By DOV. As they defend the rights of the Jewish people within our homeland, we must always keep the brave men and women of the IDF in our hearts and minds. This song, a prayer for their safety, and the well being of all mankind, should serve to inspire each of us to give them support and remain strong. DOV is the newest contemporary Jewish Pop Singer. His debut album DOV: The Gift is on sale now at your local Judaica store and on iTunes. The title of his album, “The Gift,” is a reminder that we each can make this world a better place as we share our own unique and special gifts. Visit www.dovmusic.com for more information about DOV’s album, full song lyrics and English translation, and to see exclusive behind the scenes photos and info from his first music video.